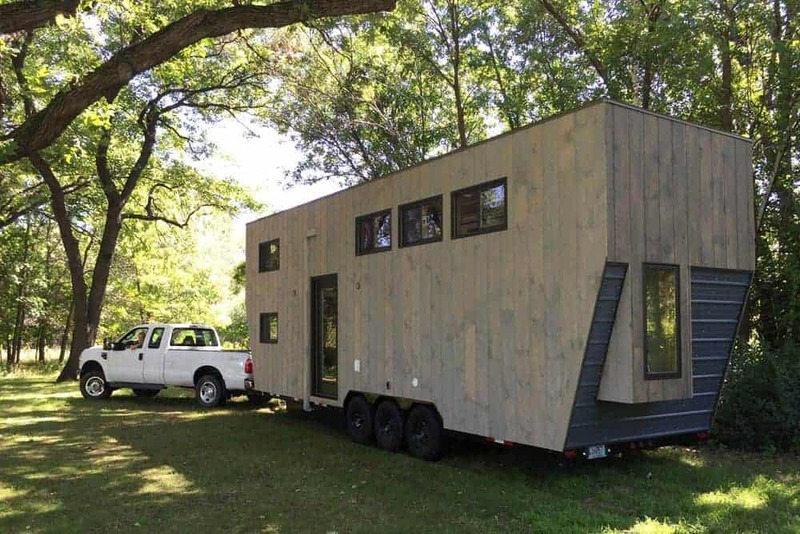 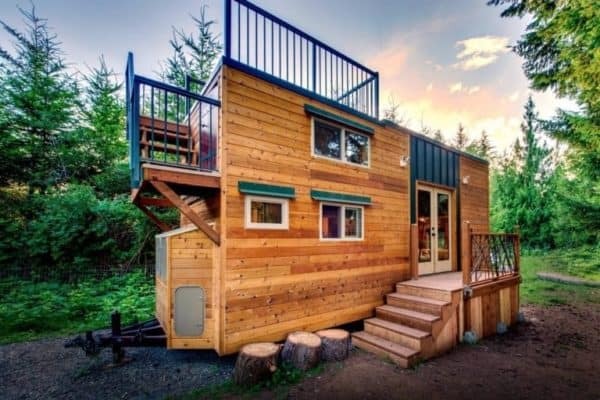 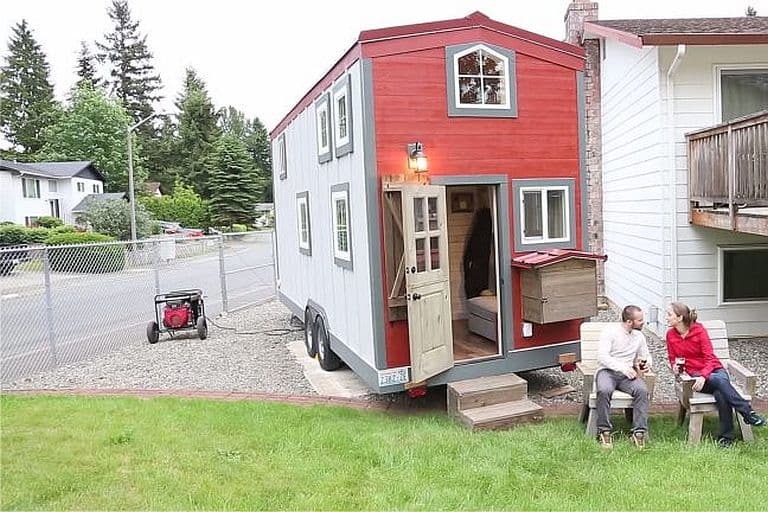 Tiny House Nation must have jumped at the chance to feature Tina & Luke Orlando’s 204-squre-foot, redwood-sided Mountaineer. The show aired on Jun 25, 2016, and if you missed it (or just want to take another look) you can check out some great photos from Patrick Treadway below. 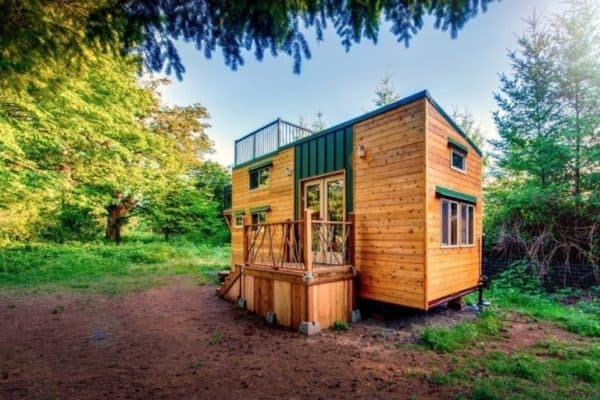 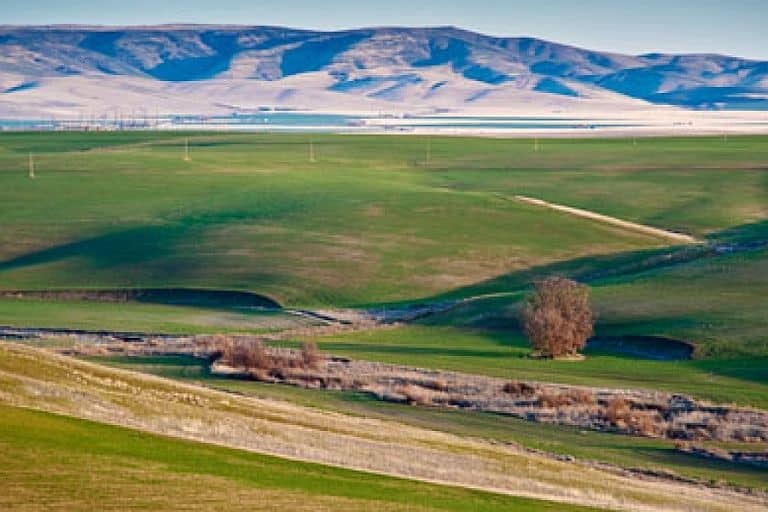 Engineers by profession and outdoor adventurers in their free time, Tina and Luke live on a 40-acre Oregon farm near Mount Hood and wanted an off-grid tiny house that would let them enjoy those beautiful surroundings to the fullest. 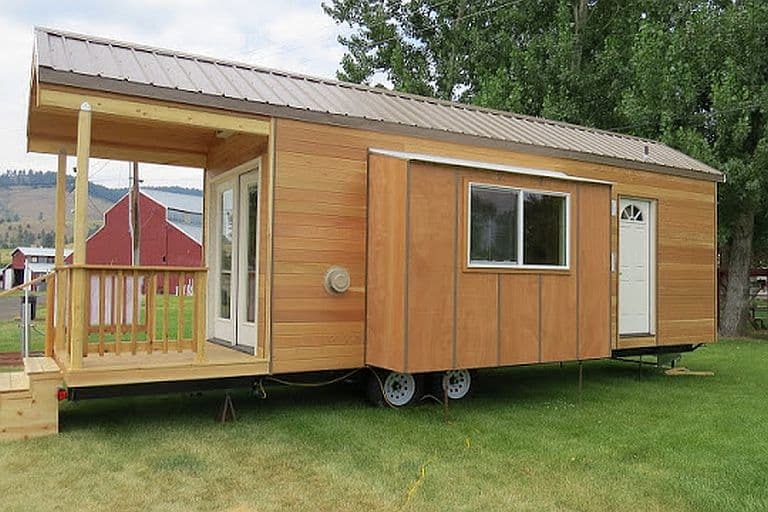 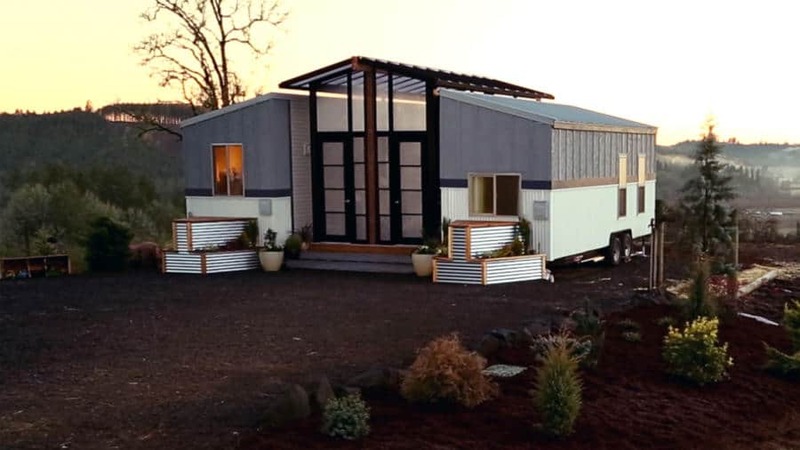 They designed the Mountaineer themselves and secured the services of Salem specialist Daystar Tiny Homes for the build. 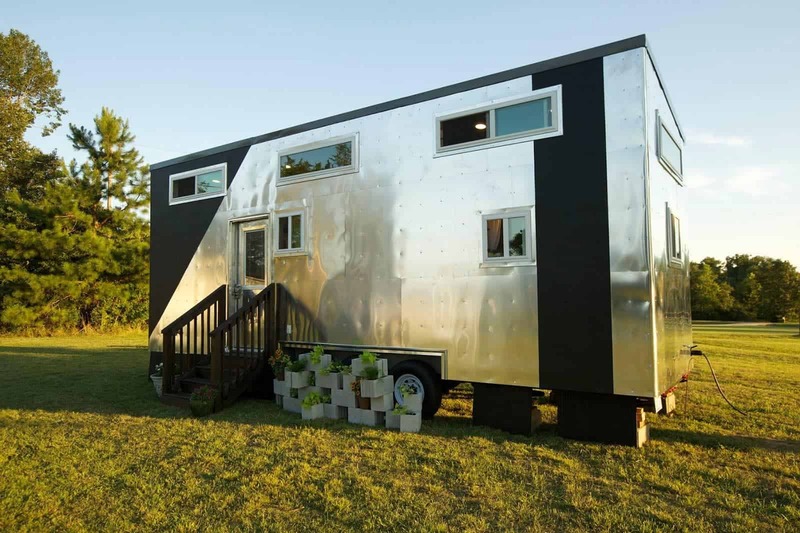 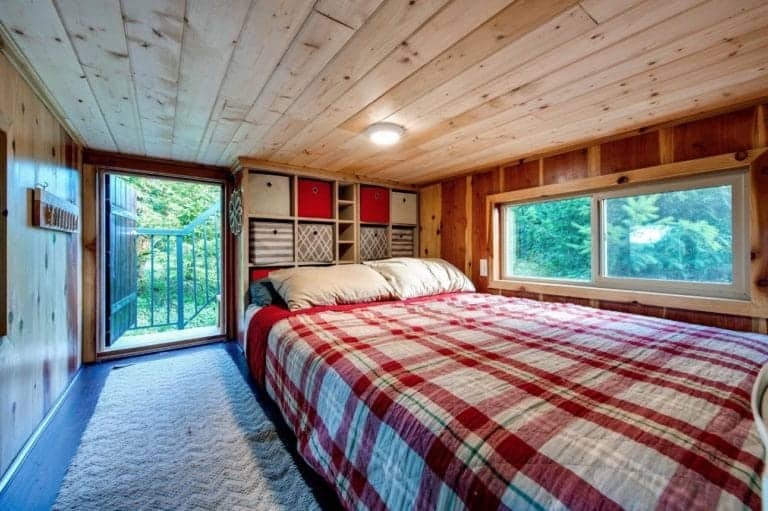 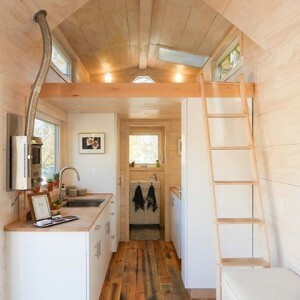 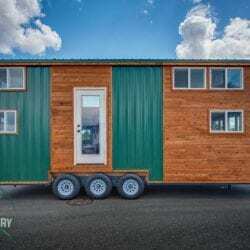 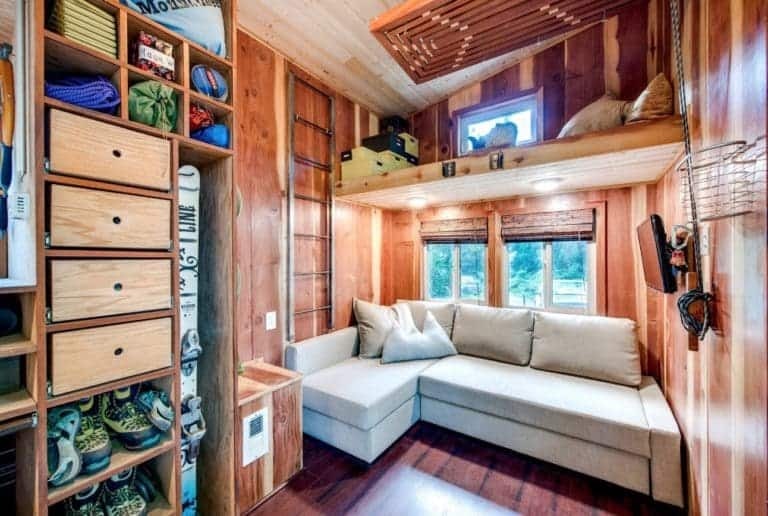 It runs off solar power, collected rainwater and propane, and it’s jam-packed with storage for the couple’s hiking boots, snowboards, climbing ropes and other outdoor equipment. 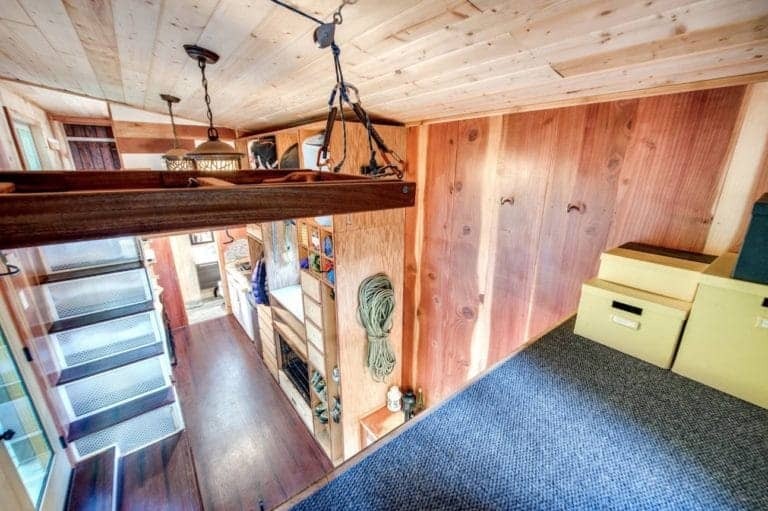 Even with customized storable chairs and tables, all that cargo area means there’s not so much room to move around inside. 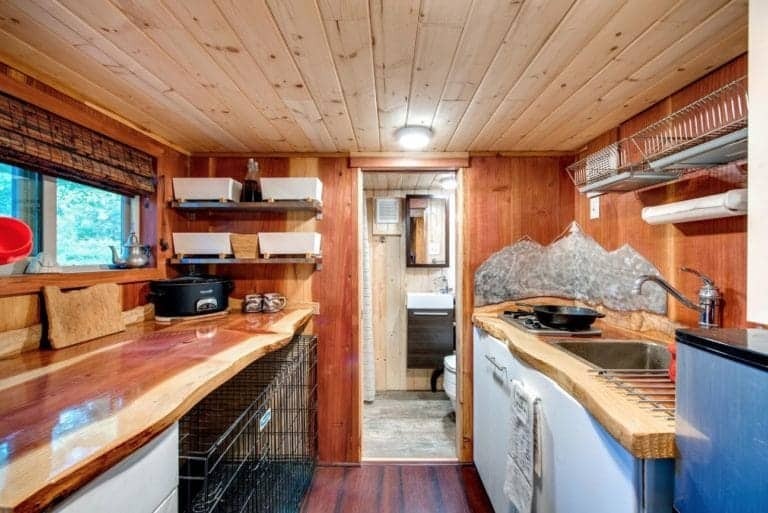 What space there is, though, is comfortably appointed and decorated with contrasting light-and-dark stained wood, a fine refuge in which to recover from outdoor exertions or retreat from really awful weather. 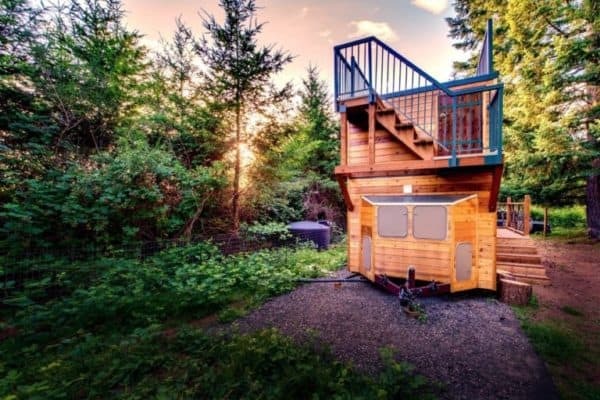 Then, of course, there’s the roof deck, covering almost half the house; both it and the wide access stairs from the loft are fully surrounded by a guardrail, making it a very usable option for nicer days. 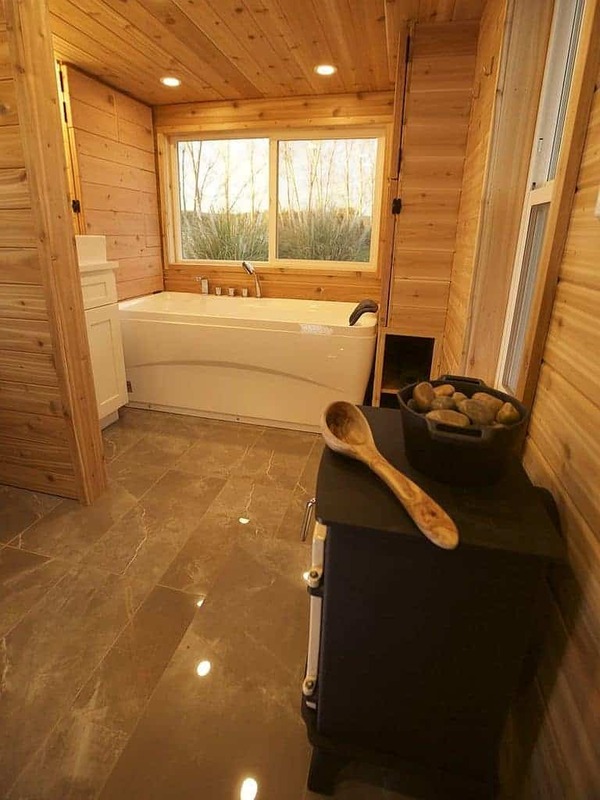 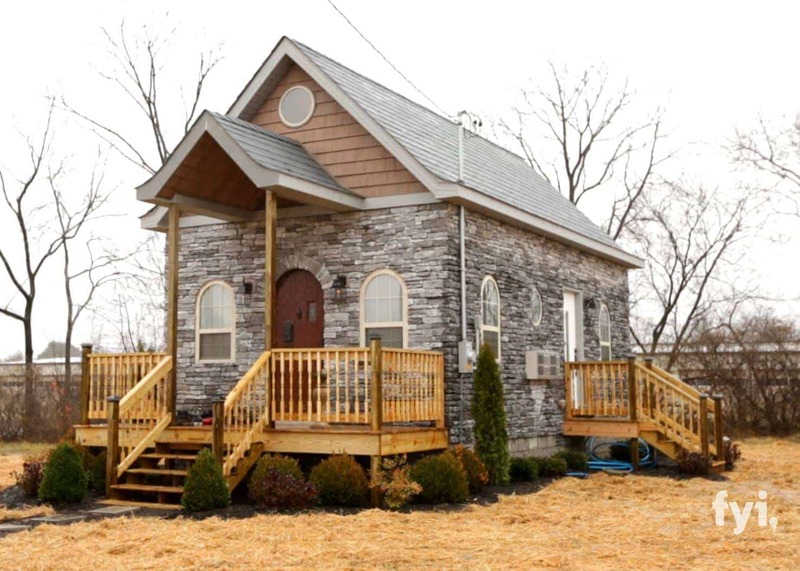 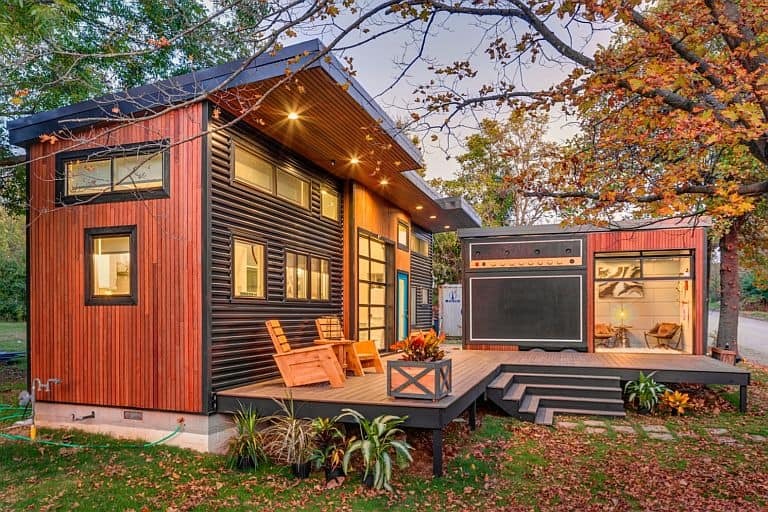 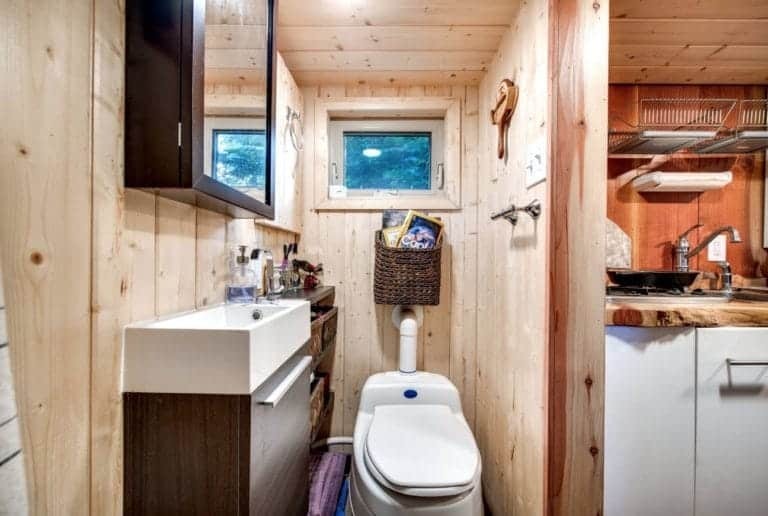 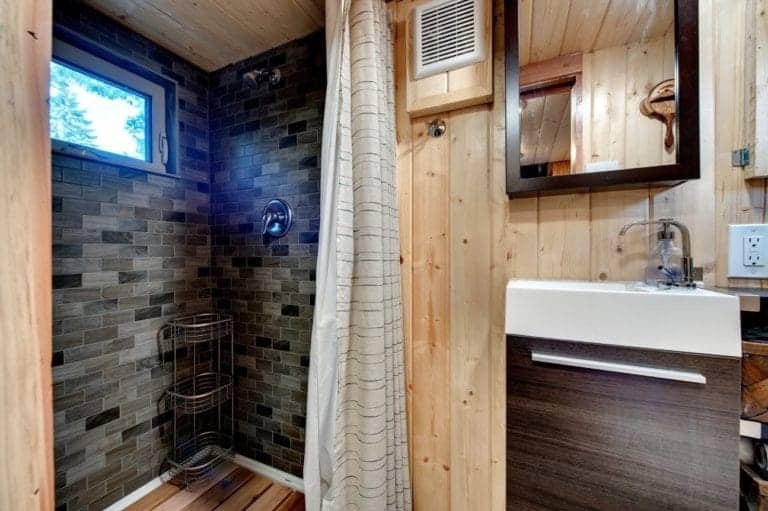 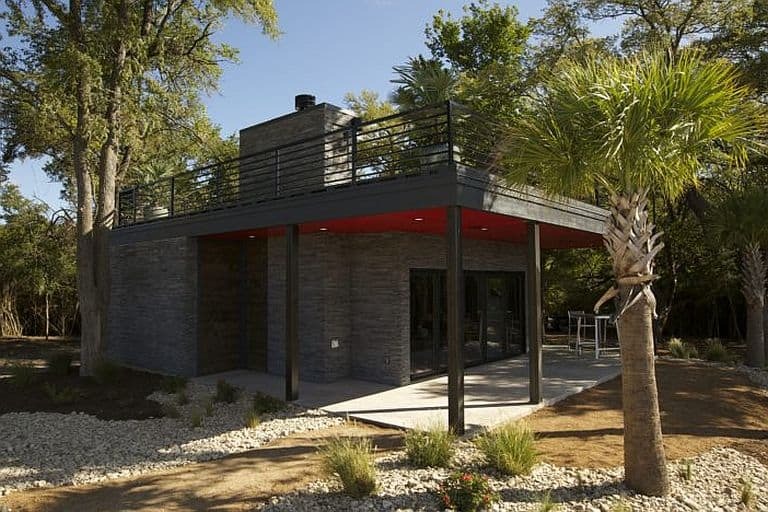 Family’s weekend cabin has two bedrooms – and a steam sauna!